Folks I have some real spicy news for you from the ongoing Men’s Week in Delhi. Varun Bahl was very upset with a journalist of a National Daily because the scribe did the interview with him on the K JO+Varun Bahl collection for VHIMW but when the story appeared it was all about Karan Johar. 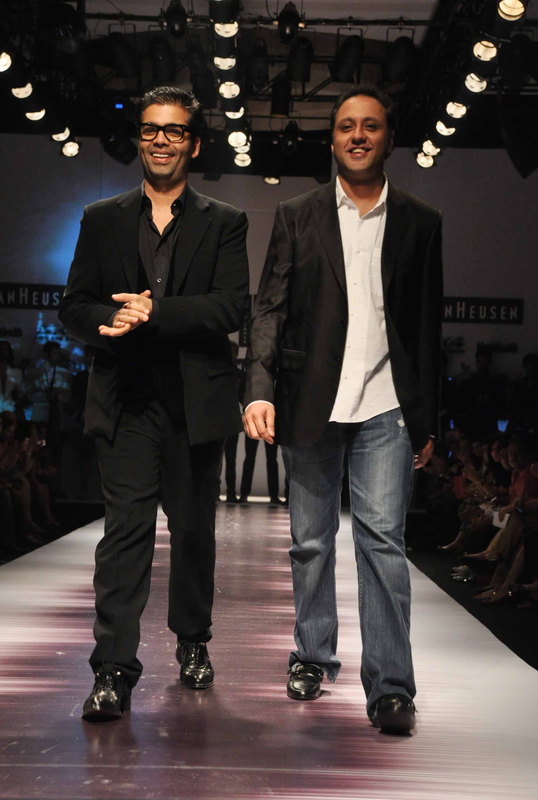 We all know that the label K Jo+Varun Bahl has creative inputs of Varun and charisma of K JO. But it is sad that the media is so Bollywood struck these days that anything beyond Bollywood becomes insignificant. Varun Bahl is definitely justified to be angry. The scribe could have interviewed Karan Johar instead. 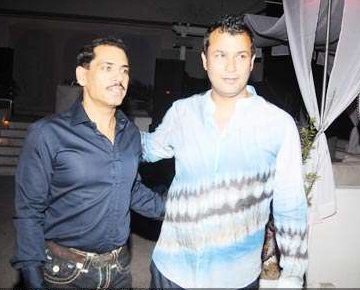 Media concluded that Robert Vadra was the muse for Ashish Soni’s look at the VHIMW. You know why? Well because the models wore a pencil line moustache that had resemblance with Robert Vadra’s moustache. Ashish Soni is rather flummoxed and laughed it off. But just think how stories are created by media. India’s First Family’s Son-in-Law is the muse of Fashion Designer made a great story so they created it. Any other moustached buddy of Ashish Soni wouldn’t have made such headlines. This can be a really good read for me, Must confess that you are certainly one of the best bloggers I actually saw.Thanks for posting this informative write-up. This blog appears to get a good ammount of visitors. How do you advertise it? It offers a nice unique spin on things. I guess having something useful or substantial to talk about is the most important thing. This weblog seems to get a good ammount of visitors. How do you advertise it? It offers a nice individual spin on things. I guess having something real or substantial to talk about is the most important thing. I havent checked in here for some time because I thought it was obtaining boring, but the last handful of posts are really great quality so I guess Ill add you back to my daily bloglist. You deserve it my friend.